Only 5 minutes’ drive from the Christchurch city centre, Courtesy Court offers rooms with free Wi-Fi, satellite TV and a DVD player. It features a beautiful garden and free parking. Courtesy Court Motel is located in St. In the city centre, Novotel Christchurch Cathedral Square is a 4.5 star, contemporary hotel, with city views in all rooms. It is walking distance from the Convention Centre and Hagley Park. 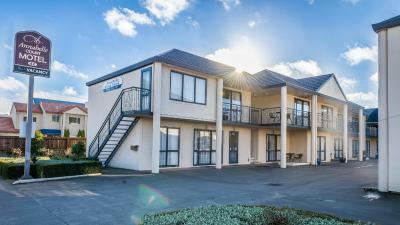 Centrally located next to the Botanical Gardens, Canterbury Museum and Hagley Park, YMCA Christchurch boasts a range of accommodation including self-contained apartments, private rooms and shared dormitory-style rooms. Featuring 2 guest lounges and a communal kitchen, YHA Christchurch is located opposite the Arts Centre, just 150 metres from the Botanic Gardens and Hagley Park. You can enjoy a meal and relax in the lovely BBQ and garden area. 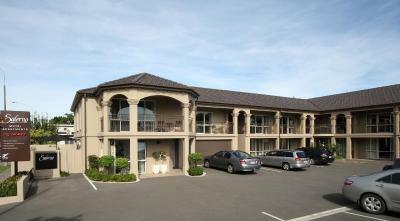 Avalon Court offers comfortable accommodation set amongst large gardens in Christchurch. All rooms feature a seating area and kitchen with refrigerator. Free Wi-Fi is included. 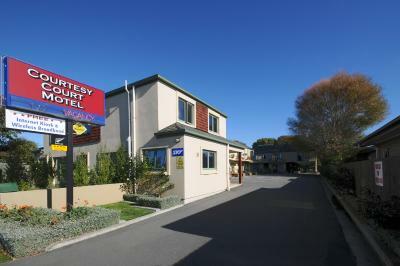 Just 5 minutes' drive from Christchurch International Airport, this hotel offers modern rooms with double-glazed windows, under-floor heating and flat-screen TVs. The city centre is a 15-minute drive away.